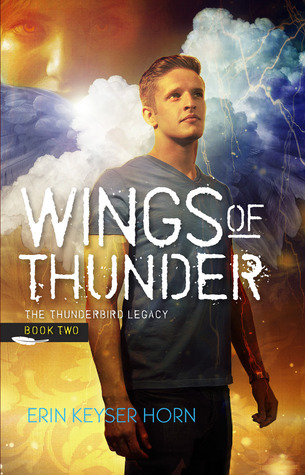 Wings of Thunder, the second book in the Thunderbird Legacy, makes an equally grand statement about the strength of friendship in the midst of adversity when compared to book one, Eyes of Lightning. Ivy comes face-to-face with her fears as she desperately searches for a way to break her family’s curse. But this is more than just a battle of ancient spirits; she battles her heart and her sanity as her 16th birthday creeps ever closer. Horn’s ability to naturally and effortlessly re-engage the reader between book one and book two helps this work not only connect to an important first story but stand alone as well. Ivy, the protagonist, is revealed in three-dimensions as her character grows and evolves. The power of her voice is what brings weight and substance to Horn’s work, making the story believable. In this first-person narrative, the reader connects with Ivy because of her honesty to herself. The strength and persistence of her voice allow her to connect to the reader’s soul – this kind of truth and maintenance of a character show vital understanding by Horn, not only of the genre but of the girl… and her male compatriots. The amplitude with which Horn is able to enhance the ordinary and make it extraordinary flows without a hitch, allowing readers to immerse themselves in the story. It is easy to believe the amazing events plotted throughout the book because of how closely they relate to the everyday – not that 15-year-old girls fight for their lives on a daily basis, but the reality of a teen’s life in the midst of such strife rings true for readers of any age. The emotional roller-coaster of fear, suspense, grief, sorrow, anger, love, and contentment leaves readers breathless but engaged – not wanting to put the book down. However, it is not until her cliff-hanger ending that a reader is left wanting more… a more to follow with the promise of a third book! Without a doubt, Wings of Thunder not only meets but exceeds all expectations raised by Eyes of Lightning. I know I’m committed to the Thunderbird heart and soul… Are you? Review by M.J. Moores, OCT. Author. Editor. Business Owner.